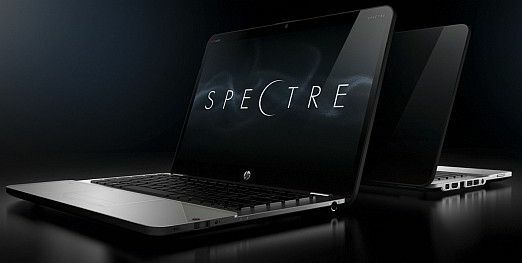 HP has unveiled its first Ultrabook at CES 2012, the HP Envy 14 Spectre. The 14-inch Ultrabook weighs in at 1.7 kgs, and has a coating of scratch-resistant glass over its screen, lid and palm rest. It will begin shipping in the U.S. on February 8th, with an MSRP of $1,399.99 for the base configuration. Global shipping will start in March. Like other Ultrabook manufacturers, HP claims to have fit a 14-inch display into a 13-inch chassis. 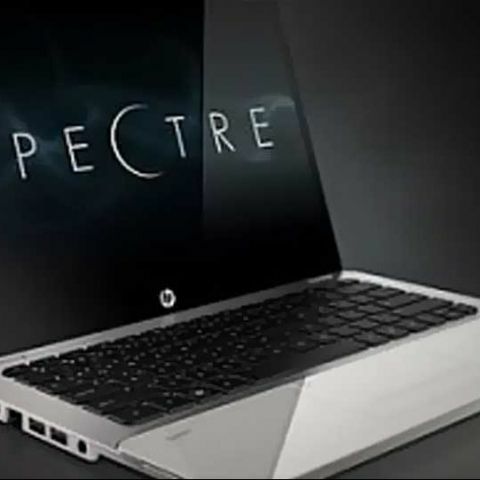 Features of the HP Envy 14 Spectre include a 14-inch 1600x900 pixel resolution display, Intel Core i5-2467M processor, 4GB of RAM, a 128GB SSD (with a choice of a second 128GB SSD available), and a 9 hour battery life. On the connectivity side, the Envy 14 Spectre has Gigabit Ethernet, USB 3.0, HDMI and Mini DisplayPort. Unique connectivity options include Intel WiDi, wireless audio, and NFC. It will also ship with 2 years subscription of Norton Internet Security, and full versions of Adobe Photoshop Elements and Premiere Elements. Also onboard is HP CoolSense technology, which automatically adjusts performance and internal fan settings. The Envy 14 Spectre comes with HP ImagePad, which apparently provides precise multifinger touch navigation. It also has an integrated HP TrueVision HD webcam.